We are a Family owned business with over 30 years of experience each.There is no project to small for us at Cabinets and More. We have various cabinet manufactures to meet all style and price needs. Cabinets and More offers skilled and professional guidance to help get you through the selection process of your project. Our goal is to create a fun experience during the process. We also have cabinet hardware, fireplaces, gas logs, central vac systems and closet systems (including Murphy Beds). We can assist and accompany you to meet with vendors to narrow down your likes and dislikes if that is your need. In addition to the design selection we act as a liaison between you and your contractor to assure compliance and establish time frames. We strive to develop long lasting friendships through the entire design process. Our job is not complete until you are 100 percent satisfied and full of smiles upon completion. Fees are based on a per hour basis to ensure that you have as little or as much design time needed. Cabinets and More looks forward to meeting with you and determining all of your design needs. 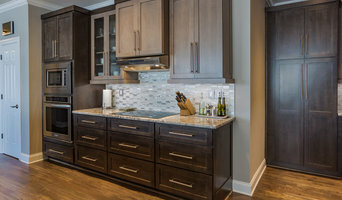 Kinley Cabinets has been manufacturing top quality custom cabinetry since 1978. Our dedicated staff will guide you through the design process to create the best cabinetry to fit your needs. How We Work: Whether you’re building, remodeling or restoring, our designers have the experience and expertise to create cabinetry that complements your home’s style. Our custom design service is easy to use. Provide us with some simple information about your kitchen space and requirements and we can offer you a detailed plan for a custom-designed Knight Kitchen including specifications for construction materials and installation. Upon approval of the estimate, we’ll start processing construction of your cabinets. Be sure to check out our web links at Featured Products for all available Door Styles, Accessories, Pulls and Knobs, and counter top selections. For the best in cabinet design, quality and service at competitive prices choose Kinley Cabinets today! Tile & Marble Gallery has been servicing the Upstate's tile needs since 2007. We specialize in all types of tile including marble, porcelain, travertine, glass, mosaics, murals and more. With over 70 vendors, Tile & Marble Gallery has the largest selections of tile in the Greenville, SC. Come to our showroom located on Laurens Road and let our in-house designers work with you on a custom design for your project. 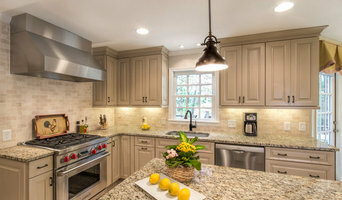 I personally approach each project with genuine desire to help you achieve the kitchen or bath that reflects your lifestyle.I believe that your home should reflect your personal style and taste.That's why I spend a considerable amount of time listening to your specific goals and ideas right from the start. I can then guide you every step of the way until your vision is realized. Problem solving involves multiple variables, knowledge of products, styles and colors, and a skill to comprehend and consider the clients vision and interpret meaningful solutions. It is through your inspiration and designed careful planning that brings the function, creative and technical together. Experienced in all types of repair's, building, maintenance, remodeling, & handy work. Honest, reliable & dependable. Registered & insured. In business since January 1994, I provide my customers with excellent service while being punctual, professional and courteous. I like to make each customer's work project the most pleasant one possible. At Black Rock we are passionate about setting the standard for excellence in design and craftsmanship. With a creative eye for design and a craftsman’s drive for perfection, the Black Rock experience is defined by blending imagination, art, precision, and exceptional customer service. Our products paired with our ability to artistically organize and coordinate your space make Black Rock your full service design destination. What does a Pendleton kitchen designer or bathroom designer do? A kitchen and bath design professional in Pendleton, SC knows to take all of these crucial points into consideration and can help plan the layout, materials and overall look and feel of either of these rooms in your home. Kitchen designers, as well as bathroom designers, are constantly staying on top of trends in the ever-changing industry. The designer also knows the best layout for your room, and can configure the layout for optimal functionality and utilization of the space. In the kitchen the refrigerator, stove and sink should be laid out in relation to one another, and it should be seamless and easy to move from one to the other. A Pendleton kitchen and bath designer will know how to work with a contractor and architect to plan the flow of the room to work best for your needs. Here are some related professionals and vendors to complement the work of kitchen & bath designers: Kitchen & Bath Fixtures, Appliances, Tile, Stone & Countertops, Cabinets & Cabinetry, Woodworkers & Carpenters. Before you talk to bath and kitchen designers in Pendleton, SC, consider how you will use the room. For your bathroom, is it necessary to have a bathtub for bathing kids or pets, or would a shower suffice? Perhaps all you need is a half bath for downstairs or a smaller guest bath for occasional use. Similarly, for kitchen renovations consider your cooking habits. Do you eat out every night but need a space to entertain in? If so, a smaller kitchen might be fine for you, with a space devoted to wine storage or a bar, whereas others might prefer a bigger stove or extra cabinets. When interviewing Pendleton kitchen and bath designers, make sure to share these habits so they can best fit the room to suit your needs. Find a Pendleton kitchen designer or bathroom designer on Houzz. 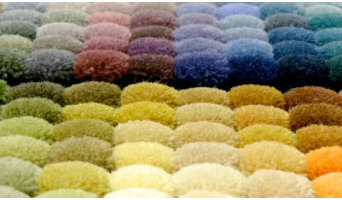 Narrow your search in the Professionals section of the website to Pendleton, SC kitchen and bath designers. You can also look through photos in Pendleton, SC to find a kitchen or bathroom you like, then contact the professional who designed it.